bought nesting boxes! now what!? Thread: bought nesting boxes! now what!? 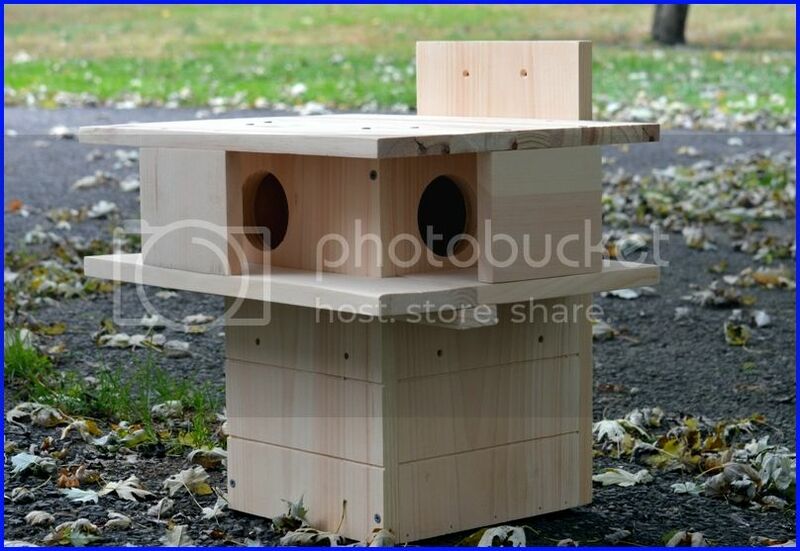 I decided, with the prediction of torrential rain approaching, to buy 2 nesting boxes. I will have my gardener put them as high as my extension ladder will allow.... and I guess I should put leaves or sawdust in them?? Re: bought nesting boxes! now what!? 2. Then, I would ensure that there was a tiny hole or two, maybe a centimeter in diameter on the bottom of the box so that if rain gets inside, it can drain out. If there isn't, I would drill one or two. 3. 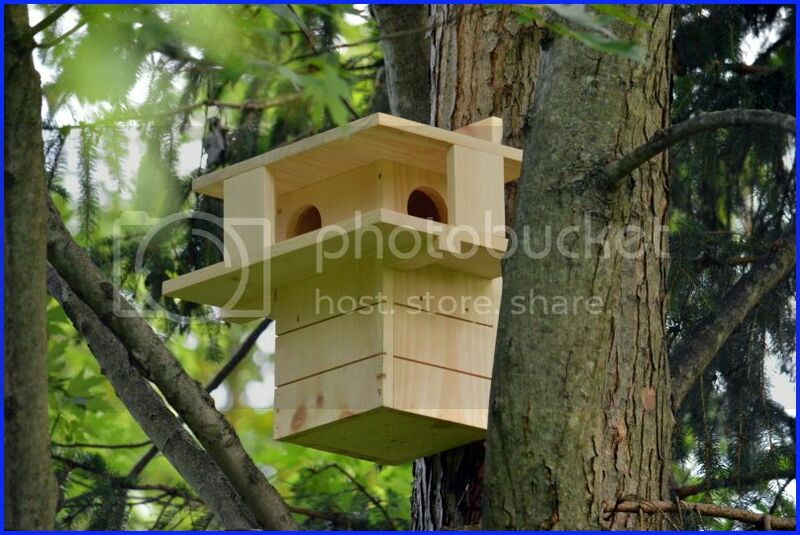 Lastly, I would make absolutely sure that the box is secured very well to the tree so that it doesn't fall out of the tree or get blown out with winds. 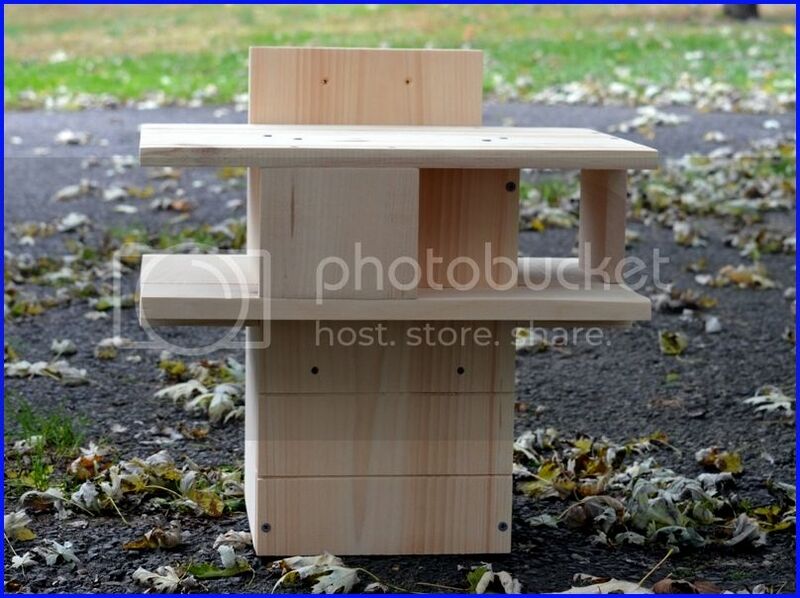 "Tree crotches*" are great places for squirrel boxes. 4. And I would be sure to fasten the box to an area of the tree that's NOT likely to break off during a storm. Example, the trunk of a tree is better than a long brittle branch. Answer to question of how they will find it: Squirrels will probably find the squirrel box on their own no matter what. Encouragement can be provided in the form of unsalted nuts. My favorites are unsalted walnuts or pecans. My opinion of what should be put in it: I am interested in other people's answers, but I think that nothing would be fine (In the Fall, there should be plenty of nesting material around, leaves, etc. for them to find on their own.). Fleece, that has been well rinsed with no scent, cut into 2-3 inch squares may be nice. (Note that scents may repel squirrels. And IF NOT well rinsed, they might have a reaction to the detergent. If in doubt, do without.) As mentioned above, maybe a snack like unsalted walnuts that will NOT parish quickly. 1. a place where something divides, as the human body between the legs. 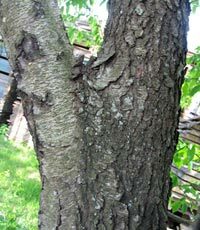 4. the area of a tree at which a main branch joins the trunk. 5. a forked object, as a staff with a forked top. Actually, I am gonna quibble a bit. Not fleece in an outdoor nest box. It will absorb and hold water and you don't want that. Believe it or not, we have messed with all manner of nesting material for these guys and it turns out that dry leaves really are best! They shed water and may even provide some insect control - nests with artificial bedding tend to become infested with fleas while for some reason the ones with leaves don't. You can put some dry leaves in there to get them started but they are very good at building their own beds! As far as nuts are concerned, I wouldn't put them in the boxes because that attracts ALL squirrels to that box. They are very smart - they will find them. In the area, yes, in the nestbox, no. The last suggestion is to determine which direction your prevailing winds come from - in CA I am assuming that is west to east. In that case, you want the hole for the nest to be facing away from the prevailing wind (if I am correct about west to east, face the box west). That way the wind and rain isn't being driven into the nest through the hole. oh, another question. Does it need to be in a tree that's near their current nest? I am with CM: No bedding in the box, they will fix it up the way they prefer! The first boxes I put out I did place fleece inside, which was promptly ejected by the first squirrel that moved in. Leaving me to clean the mess up! I also avoid placing the boxes in (tree) crotches if it provides a secure "perching" place for a racoon that might want to raid the box. Especially if the box does not include exterior predator guards that make it almost impossible forracoons to reach into the box. They likely will not use any box lower than about 15 feet. It's probably best for it not to be too close to their current nest or any other for that matter. But it is good to place in a tree that is accessible (by a squirrel) from a nearby tree. They prefer not to climb up the tree in which they nest if it can be avoided since that leaves a scent trail for predators advertising they leave in that tree. They would much rather access it via the "treeway" forty feet up! COuld you explain how I might add something to prevent predators? I purchased 2 boxes, and they don't seem to have the little shelf inside, under the hole, so I'll add that... but you mentioned something on the outside? Thanks for your understanding of my total ignorance about this -- so glad there is this forum!! 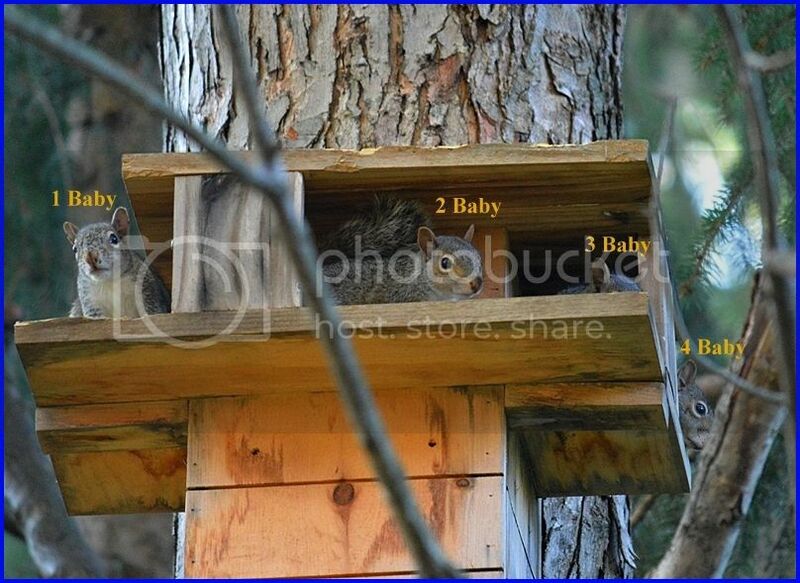 These are the squirrel nest boxes that I use - I have eight right now mounted in my trees. They are super predator safe with both the external predator guards and the internal predator guards. The external predator guard is most important for me since I have had raccoons in the past pull my squirrels out of other style squirrel nest boxes and kill them - but since I changed all of my squirrel nest boxes to the below squirrel nest boxes all my squirrels have been safe and I have not lost any. 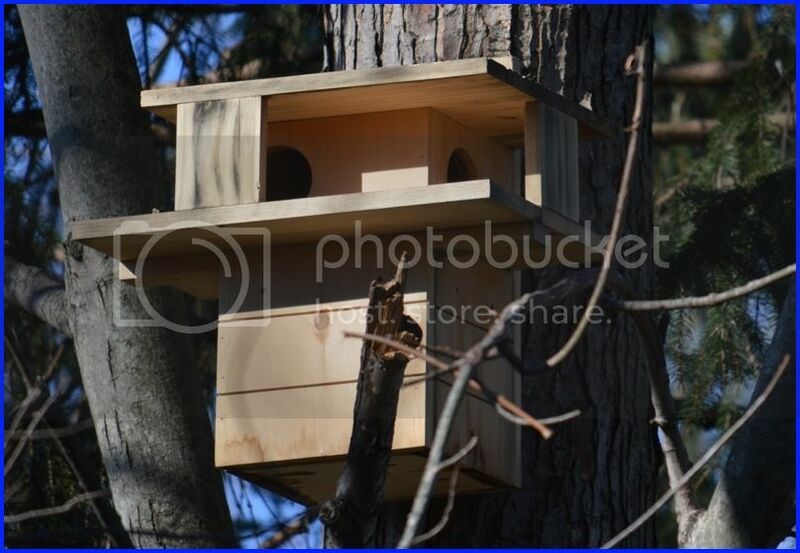 I have all of my squirrel nest boxes custom made from http://www.nutsaboutsquirrels.net/ - they're the best priced, best quality and safest squirrel nest boxes. I would let the squirrel’s add their own bedding matter. I would not use saw dust because they could breathe that in and it could get into their lungs. wow, mybushytail -- these are amazing!!!!! thanks much. wish I'd seen this before buying the very simple ones I purchased. will look at your link. More questions --- greatly appreciate the responses! If the best tree in my yard has ivy growing up the trunk, is this in any way a detriment to the squirrels nesting -- i.e. rats? Also, the box doesn't have predator guards. Should I try to add them? I think sizewise, they should work but I would add a predator guard so that raccoons can not reach in and kill your squirrels. To add a predator guard, just cut some 1x4" strips and you can simply nail or screw a "C" shaped section over the nest box opening! if you are not handy with tools, a handyman could easily do this. From my research, the usually recommend 17" high. However, I see this without those external predator guards and only the internal predator guard (which is a shelf just below the entrance so the predator (like a racoon) cannot reach straight in and down to the bottom). I believe if you add the external predator guard as shown in MBT's pictures along with the internal shelf / guard the 15" height will be safe. In fact, some of the boxes nutsaboutsquirrels are selling are 15" deep! Is Ivy growing up the tree at all a problem? I don't know with certainty the answer to question about Ivy, but other than the fact that vines usually will eventually kill the tree, I am not sure the squirrels care about vines. What is a non-nesting squirrel? ah, ok! then they won't go to waste.... not sure if anyone is pregnant... one very fat male though! 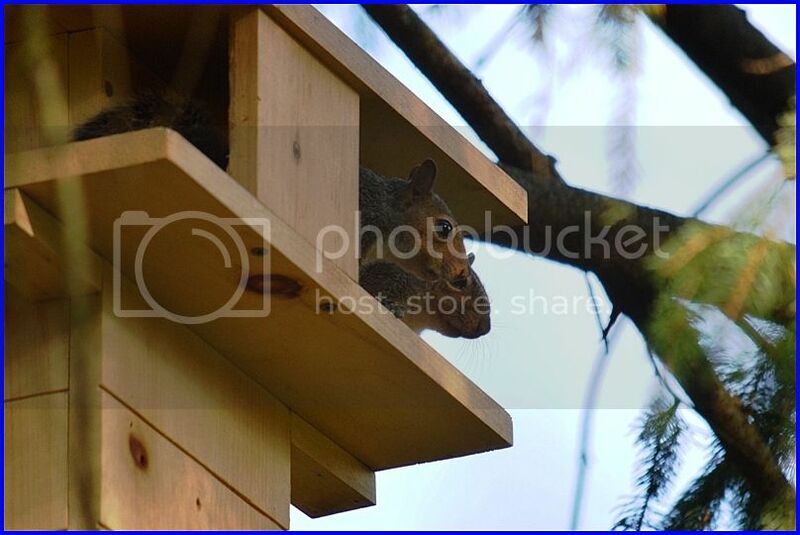 I have 8 of the nest boxes that I posted the pictures of and all of mine are occupied all year long with a minimum of 4 squirrels to a maximum of 6 squirrels. In the summer months most of the male adults vacate my boxes and only my mommas with their children continue to occupy them. Don't worry your nest boxes will not go to waste. As for the dimensions I believe my boxes are 15" x 10" x 10" with an 18" backboard. Also, if mounting around a lot of branches I think that will be just fine as long as you have the external predator guards - even with the internal guards/shelves the squirrels will chew them away in no time so it is best to definitely have the external guards. I could swear that one of the squirrels stood on the table outside my office window pantomiming eating something -- like she was begging. (I'm losing it maybe!) But I did as instructed by her, and went out with some nuts. thanks for all the help! this photo is from last year, when our navel oranges were ripe. Since the squirrels seem to just take a few bites and then leave them, I started cutting them into quarters for them, which they seem to like. Waiting for the tree to ripen! !